Karen Jacobsen happily accepts commissions. Working with clients on special projects is a privilege and wonderful process. It’s always a joy to be a part of completing a clients unique vision. Commissions can be a great way to capture a special memory for yourself, or as a gift. When commissioning a piece of art, you don't just end up with something that is unique to you, but you also become part of the design process. Consulting with the client, identifying content and the focus of their vision is the first step. Considering the interior space and lighting can also an important part of the design process. Sketches are done and then reviewed. Clear communication and flexibility are key factors Karen adheres to when working with a client. 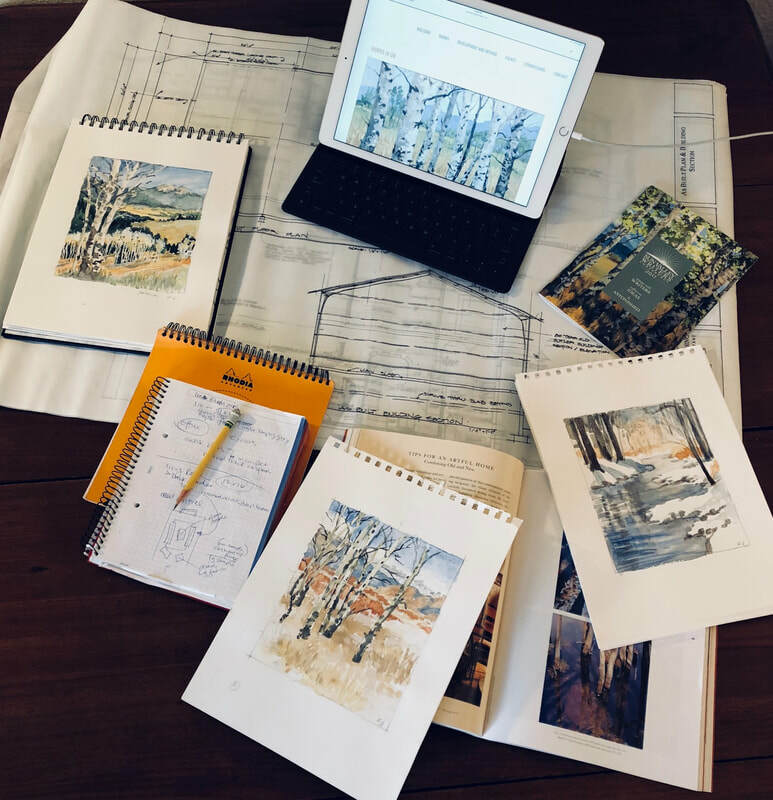 Once the initial design is agreed to, Karen then provides a scaled watercolor or sketch for final approval. Final work is delivered for you to enjoy! You now own a piece of art that is completely unique, something that is closest to your vision and that you will cherish for the rest of your life. Karen provided exactly what I had hoped, a serene landscape that would fill my large space with beauty and timeless tranquility. Working with her was a joy. She listened to my ideas and offered some options adding her own interpretations. Since this was the first time I have commissioned anything large, the process required a bit of a leap of faith, and I think we both grew from it. Karen has great range as a painter and a person. It's a delight to have worked with her. - Laura and David M. - Seattle WA.